For £275.00, Boots will sell you a sort of torch that it claims offers a “natural, drug-free way to treat back pain”. 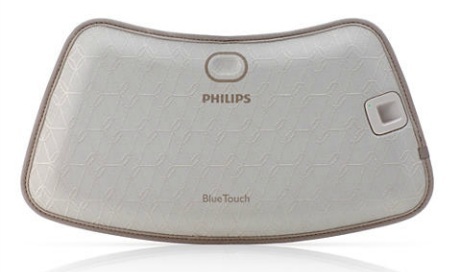 Made by Philips, this device uses some blue LED lights that it claims “stimulates the body’s natural healing process.”. So, I thought I had better check out if this is indeed shite. Whilst we can accept that this device is ‘drug free’ can Philips and Boots substantiate any of the other claims? Based on both its pain-alleviating and cell-protective properties, the use of blue LED light represents a highly promising therapy option for pain patients. Due to the fact that, unlike UV radiation, it is not toxic to skin cells, it allows for a broad scope of use of its pain-alleviating properties. The induction of the body’s own natural processes by the release of nitric oxide (NO),2,3 without the involvement of exogenous chemical substances also provides a decisive advantage over other forms of pain therapy. The paper states that a trial took place at the Supra-Regional Pain Centre of the Heidelberg University Clinic. However, it looks like an unpublished trial that compared using a blue LED device and a similar one with green LEDs. The CT02 Trial consisted of 172 patients with mild to moderate chronic muscular back pain. It was a randomised controlled, double-blind trial conducted in three centres. The object was to see if there was a difference in pain relief between people who used the blue LED device and the green one when they used it for five 30 minute sessions over two weeks. Reports of pain were taken 14 to 28 days after the last treatment. So not a huge trial, but if there was good relief it is possible this trial could show something. Since pain is subjective, the Visual Analogue Scale was used. Patients are asked to rate their pain along a 10cm line, typically from ‘no pain’ to ‘agonising’. The paper does not give full results so interpretation is hard. The main aggregated results are given as a graph. 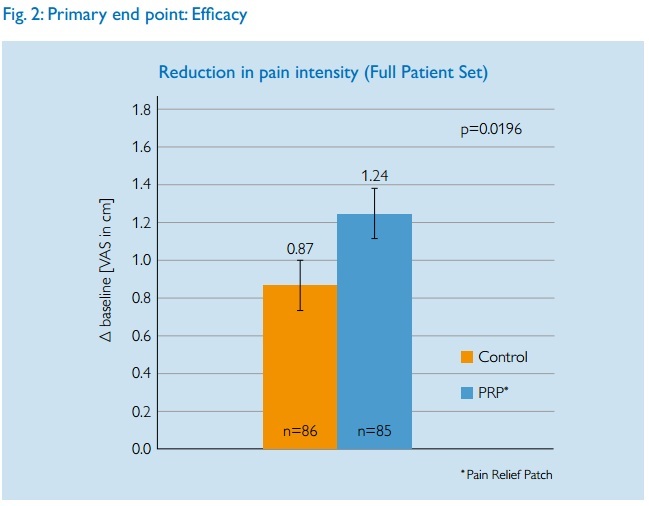 Philips claim that a statistically significant reduction in pain intensity of 1.24cm was achieved. Should we accept that the device works? Well let’s light up this BlueTouch Paper. First of all it is not clear what is actually being measured here. Is this the best result they had during the treatment or the actual measurement at the final post-trial measurement? This could mean the difefrence between some temporary relief just after a treatment and a long term effect. Very different things. But anyway, we must note that the green LED group had pain relief of 0.87cm. Assuming, as the researchers must have done that green light is inert, then the largest part of the pain relief came from possible placebo effects and the natural course of illness. (Bad backs do get better over a period of weeks). The contribution of the blue LED device was equivalent to less than 4 mm on a 10 cm scale. But the researchers claim this is ‘significant’. But significance does not mean a result is real or useful. A minor ‘unblinding’ of the trial might account for the result. I am sure patients would have been able to see if they were using green or blue lights and any patient who was aware of the test being about the blue device would have known if they were in the test or control groups. People in control groups naturally tend to be a less likely to report improvement as they know they are not receiving treatment. 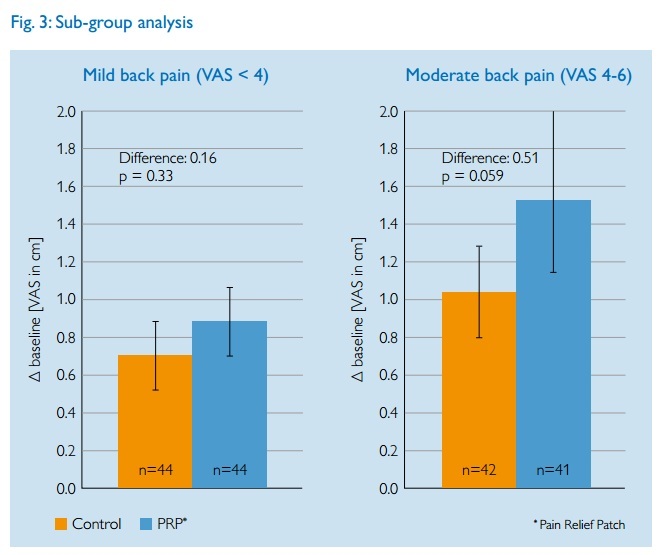 What is also important is to consider what 4mm improvement in pain relief on the VAS actuall means. Would you be able to tell the difference if you got that level of pain relief? A paper by Kelly suggests that the minimum clinically significant difference in VAS pain scores is 9 mm. Hence it is unlikely that a difference of 4mm could have any effect on people’s lives. The authors claim that those with worse back pain had bigger effects (which is usually not surprising as larger pain scores have more room to fall naturally). But look how the error bars now overlap. The differences between the test groups and control are within the statistical errors of each group. That is not a convincing result. A subgroup analysis reveals that the treatment effect in the lower back was very different across the three trial centres (-0.21 to 0.35 cm). A possible explanation for the differences in pain reduction in the upper and lower back may be the different positioning of the device in the lower back at the three different trial centres. Or different levels of blinding perhaps. And in one lab by the look of things the results were worse for the blue device group. So, even if this device did work, then it looks that it is critical as to how it is used in order to get a positive effect and not actually make pain worse. To sell such a device over the counter and expect the customer to use it reliably then is a big ask if the trial doctors could not. In summary, this is a very unconvincing set of results from an unpublished paper where claims are made that are hard to justify from the experimental results. The best bet is that this device is just simple quackery and that Boots customers would be wasting £275 if they spent their money on it. From two supposedly respectable High Street brands, Boots and Philips, that is rather shameful. I’ve been trying to persuade Philips to publish their ‘evidence’ online, but it’s good to read what they sent you. However, what is also missing from this document are details of the randomisation and baseline pain scores, so we can’t tell how well matched the two groups were. Without this, we cannot tell whether even this modest improvement was as a result of their blue lights. Other criticisms I can see are that I can’t tally the numbers in the text with their Consort diagram and there are no details of the drop-outs. I am sure there are many flaws in these results beyond the most glaring ones that I have pulled out here. Yes, if anyone wants to pop this into the ASA then I think that would be worthwhile. This brings to mind another dodgy light based product I believe Boots were selling a while back. IIRC it was a pregnancy testing torch (?). I guess since they are prepared to sell homeopathetic products it is hardly a surprise that they will peddle other nonsense as well. Still, I will be making a complaint to Boots and the ASA and hope others will also. I thought precisely that when I saw it. I’ve already complained to the ASA about this on the grounds there’s no plausible mechanism for action, and that its irresponsible claims might cause members of the general public to go undiagnosed. Hopefully they can put a stop to this nonsense. This is getting beyond a joke. Boots knew folks would respond as we have. Including ASA. Just what is going on in their head office? Do they actually have a policy of promoting quackery or are they plain dumb. Would the Consumers Association be interested? I’m not sure it’s quite as bad as you make out and certainly not in the same league as homeopathy and magnetic bracelets. Your critique of the sub-group analysis implies either carelessness or a misunderstanding of statistics. Splitting the groups for analysis means fewer participants in each arm, thus the error bars for each group increase. This is why larger trials are preferable as they reduce the statistical error. The authors make no claims pertaining to the sub-groups. There is a plausible mechanism of action. The cited paper from Liebmann et al indicates NO production from blue light at 453nm, and NO is implicated in CNS signalling and pain mediation (see e.g. Meller ST, Gebhart GF. 1993. Nitric oxide (NO) and nociceptive processing in the spinal cord. Pain 52:127-36). The thresholds raise an interesting question. While the difference between the control/placebo group and treatment group is 9mm, but the control group improvement is <9mm. Therefore the improvement of the treatment group is indeed clinically significant (and significant with error), but the control group is not. If the results are indeed valid, a purchaser of the device will most likely find that their pain is a 'little better' than before. Unless the trial participants were given the information that green light was the control and blue light was the treatment (which seems highly unlikely – the testing of 'light based therapy' would probably have been the explanation given to trial participants) they would not have known which arm of the trial they were on. I see no reason to attribute the difference to un-blinding. The case for reducing lower back pain is unconvincing and would benefit from further study. Lower back pain is more common than upper back pain and may have a wider variety of causes, it would be useful to separate the indications for which the device works and those where it does not. Overall one must consider that the device has limited side effects and is being sold to the public who would be able to return for a refund if they find it doesn't work. While a full scale roll out via the NHS would demand a more robust evidence base, the evidence presented suggests that there is a small but significant reduction in pain effected by the device. I don't think it's particularly fair to criticize a retailer for selling a device from a reputable manufacturer, especially one with at least a degree of clinical evidence. While I dislike that Boots sell coloured sugar solution for coughs and homoeopathic 'treatments', this appears to be a more nuanced case with some evidence of small but significant positive effects, with little potential for harm. It could be nonsense but I don't think it qualifies as quackery, due to being plausible and evidence based. It can be rightly criticised as weak on evidence, but it doesn't appear to be complete 'shite'. The induction of the body’s own natural processes by the release of nitric oxide (NO),2,3 without the involvement of exogenous chemical substances also provides a decisive advantage over other forms of pain therapy. The blue light relaxes muscle for improved blood circulation, resulting in pain relief. Do those two explanations square with each other? Maybe, I’m not an expert. NO does relax smooth (J. Garthwaite and C. L. Boulton, Nitric Oxide Signaling in the Central Nervous System, Annu. Rev. Physiol. 1995.57:683-70), but I don’t know whether this would improve blood flow or consequently provide pain relief. You’d need someone with more knowledge of the field than I to comment – it’s a real weakness that their study results aren’t peer reviewed. Licensing of medical devices is much more lax than for medicines, with little customer protection. There are no equivalents of yellow cards for adverse reaction, nor much demanded for proof of efficacy. …stimulates the body’s natural healing process to relieve pain and assist faster recovery. When light is applied to the body, it stimulates the production of nitric oxide (NO) in the skin, stimulating the repair mechanisms as well as generating a soothing, warming effect. Pain relief – NO improves bloodflow and muscle relaxation. Protection – NO improves cell function and can protect neurons against cell damage and cell death. Totally agree about what you say about medical devices and the lack of consumer protection. Did you see the placebo band that the ASA looked at? It was CE marked as a Class I Medical Device. All the ASA could do – and indeed all the MHRA can do – is check the importer/manufacturer has a valid Declaration of Conformity. I’ve also seen ear candles correctly marked as Class I devices under the Medical Devices Directive. Total shambles. However their is a ‘yellow card’ scheme for reporting adverse incidents involving medical devices, operated by the MHRA. The Numbers Needed to Treat for most analgesics are similar to Numbers Needed to Harm in LBP and neuropathic pain. In other words try a bit of low dose amitriptyline/carbamazepine, if you can tolerate the side effects, then suffer in silence causes there’s bugger all conventional drugs have to offer. I can just go to Boots, blow the cost of two 160Gb iPod classics (from Tesco’s with redeemed points) and the soft blue light can smooth my eight fractured vertebrae away. No more back pain for me. Truly a miracle device. Large whiskys and Nobels all round (the Crapple Chellspecker puts an “e” in whisky – rubbish thing). OR – would I be better off blowing a few quid on a NO aerosol. OR – should I continue to try to bludgeon my GP into prescribing antibiotics as per that article in the European Spine Journal. OR – should I listen to the morons (some of them medically qualified) who suggest acupuncture or the halfwits who suggest backcrackery (no thanks – cracked it myself) and osteopaths (who might at least prescribe antibiotics). If you have £250 spare for a week or two buy the device from Boots. Try it and if you find it doesnt work take it back for a full refund. If it does work then keep it. It is all very simple. I suppose that is a plan MiseryMog. Pretty rubbish one but a plan nonetheless. I doubt if Boots would refund the readies if it didn’t work. They would claim it was not a refundable item or I had the wrong sort of backache. Being a kindly soul Mrs Badd-Bach bought me a Boots TENS machine. In terms of effectiveness it made a chocolate teapot look like vorsprung durch technik. Boots have all sorts of weaselly small print to evade responsibility for flogging toot. Oddly enough I thought TENS had some medical validity. Maybe it just didn’t work for me but, hey, an anecdote is an anecdote. Even M&S weasel out of refunds. I had a cunning plan to save on washing costs by wearing a pair of M&S undercrackers for a month and the exchanging them. Oddly enough they wouldn’t play ball. I now buy them from C&A so I know which way round to wear them. LCN – I just realised you did the TENS thing on Valentines Day three years ago (you old romantic). And indeed posted a link to it above – doh! It would appear to be even rubbishier than I suggested above. I thought it had a modicum of medical viability as it was suggested to Mrs Badd-Bach The First when our daughter was born 26 years ago. In other words it had the formal Medical Practicioner Seal of Approval. This is doubly convincing when you are dipping your toes into the previously (to you) uncharted waters of childbirth. Also I recently read some criticism of quackupuncture which suggested that one of the trials was using a form of TENS rather than bog standard needlification. This rather suggested that TENS had some validity. Still can’t get my dosh back from Boots though. Has BSM emigrated somewhere devoid of broadband? It’s main ingriediant is mushed-up cactus leaves. Neither Boots nor XLS could provide any published evidence or trials. Boots’ defence was that they relied upon the word of the supplier, and that since it had been classed as a Grade II Medical Device by the EU, that was good enough for them, without needing to see any further proof. 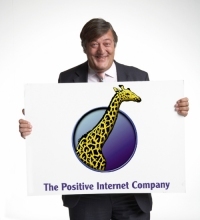 The evidence XLS submitted to the EU was unseen, and carried out by someone on their payroll. I contacted the ASA, but they did not see a need to investigate further. Thank you for contacting the ASA. Just to let you know that we’re still assessing the issue you raise and will be in touch again when there is further information. You should hear from either myself or one of my colleagues shortly. P.S. I am skeptical about their assumption of my continued patience! It’s best to be patient with the ASA – it takes time to assess these things, particularly if they have been given evidence to evaluate! I went looking for one of these magic blue light gizmos on Sunday. I couldn’t find it, possibly because it was a small Boots. I did find a wonderful example of the woo depths Boots are happy to descend to. I spotted some magnetic bracelets (yeah -they’ll work. Just like the MRI scanner adjusted all the iron in my bloodstream, or something like that) for about £25. Oddly enough the supplier had the same surname as me (although it was not me raking in the readies by supplying toot to the gullible – more fool me). The creme de la creme was the Boots own brand “Health Bracelet”. About 30p of metal for over £30. “Boots Pharmaceuticals Health Bracelet believed by many people to help with a stressful lifestyle, pain relief and circulatory problems. The second sentence is pure pseudoscience gobbledygook but I suppose it is excused/covered by the “believed” in the first. Even through the distorted lens of quackery how is a bracelet based on quackupuncture. And surely it is Yang, not Yan. So how come all those physics type boffins and eggheads need to spend trillions on particle accelerators when you can rebalance your ions with 30p worth of scrap metal. And they are spending squillions on rubbish like dark energy and cosmic microwave radiation when the ancient Chinese knew all about it. It’s a disgrace. I wasted my money on one of those things. Didn’t work at all. Since pain is still a huge part of the human condition and even modern medicine cannot solve it totally adequately these quacks will always have a willing market. I know – I was so desperate I emigrated to Quack Land Central – aka Glastonbury. (But at least now I am free from my original delusion about the place thanks to things like this website and the Scientific Method). Now I have found something that helps my pain – the sacred herb – so now at times I am in almost no pain. But of course because of the ludicrous British laws I am have to deal with criminals. I see these machines everywhere, do they work?